Having your first child can be the most exciting and fulfilling thing in your life. But it can also be tiring and confusing because you don’t know what to do. 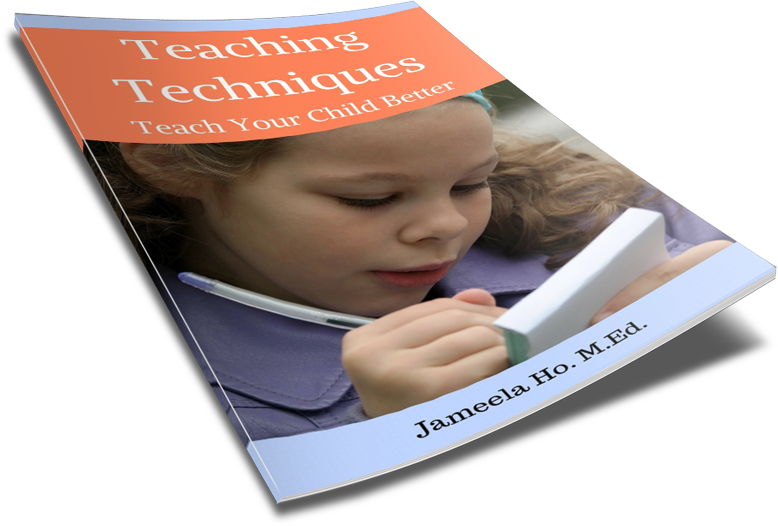 There’s a lot of trial and error to see which ones work best for you and your child. It’s ok to make mistakes as this is your first time. But wouldn’t it be great if you could by pass all the trial and errors so you’ll know what to do? Having a guide would certainly help steer you in the right direction. That’s what this guide is all about. 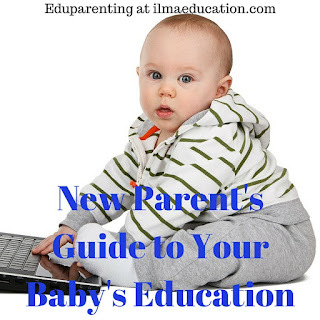 It focuses on your child’s education and what you can do to help him/her learn from the very first days. Don’t wait until school starts. Teach your child at the very beginning. The sooner he learns the more neural pathways and connections are made and strengthened. This means that the learning experiences that your child encounters are deepened and built upon. The more the experiences are and the stronger they are then the more your child knows and can act upon them. Starting early also means you start with your foetus in your tummy. At this stage, they're able to hear and can recognise your voice when they're born. This is a good time to read Qur'an to your baby. Some mothers tell stories of their young children memorising and reciting the surah that they had read to their unborn child repeatedly. For myself, I had plenty of time when I was pregnant with my eldest and I'd read the Qur'an many times a day to him. I attribute this to his calm nature, masha Allah. Whereas, with my second child, I was too busy and didn't have as much time to read. I have to say this child is so emotional and highly strung. Allah knows best. Starting early doesn’t mean drilling information into your child. It means providing a safe place in which your child can explore and practice diverse skills. It means interacting with your child through talking, communicating and reading. It also means to provide age appropriate tools to extend his abilities. These things will be covered in the following points. Not only do you need to ensure the physical safety of your child but also his emotional security as well. If you provide these then your child will be eager to explore and learn. Your child will rely on your support and can trust that you will give it. The more he feels this then the more he will be open to new experiences. Make sure that there is nothing harmful in his space. Soothe his fears. Smile and show your approval often. Respond to all his communications and answer his needs. These are some of the things that you can do to build trust. It's also your attitude that will encourage or discourage him. If you're always saying no and forbidding him to touch and handle things then he will think that everything is unsafe and that he shouldn't explore. He will become clingy and dependent on you. So let your baby crawl on the floor or chew on a stick (babies learn through their senses). A little bit of dirt won't harm himbut in fact will build his immunity. Remember that if a baby feels insecure then he won't explore and learn. Your child needs to have many and different experiences. It’s good to have repeat encounters over and over again to strengthen that experience but if you add variety to it then it’ll be even better. This way your child will have depth of experience as well as diversity. As your child gets older, take him to the beach, out into your backyard, go for a stroll, pat some animals, roll in the grass, walk in the sand, wade in the water, look at clouds, smell flowers and so on. There are so many things for your child to do instead of sitting in front of the tv! Another way to provide diversity is to socialise with people. People are always fascinating in the things that they do and say. The more people, both young and old, your child meets the braver he’ll be. Go out and meet people, join playgroups, mother’s groups, visit friends and relatives. Find out about children’s events and try to attend them. I used to take my babies to playgroups and kindergyms (when they were a bit older). Here they got to interact with other babies and children as well as adults. I would also attend informal lessons and lectures. We'd be sitting on the floor and the babies would lay still and listen or crawl around and discover new things and people. What do you talk about? Anything and everything. Just because your baby can’t respond yet doesn’t mean that he’s not listening. Tell him about what you’re doing. Make a running commentary of what you see. Talk to him about Allah and how blessed he is. Explain how things work. Just don’t stop. I used to talk to my babies all the time. I would have full conversations and it looked like I was having them with myself as I was the one responding to my own questions. If I was near people, they would look at me funny and think I was talking to myself. But it didn't bother me as I was talking to my baby and do you know what? They both talked when they were 11 months and had a wider vocabulary (even now). I don't say it to boast but I want parents to realise that they need to talk to their babies. I get 4 year old children who come to my prekindy classes and who don't talk at all. It's not because they're shy or can't vocalise but because they had not been constantly spoken to. By speaking I mean the parents having conversations with them and not just the command to do this and do that. They have a very limited vocabulary. Start talking to your baby today! Train your child to love books and reading. Even though his attention is short you can still ‘read’ him a book by holding up a page from a contrasting or bright fabric book in front of him and talk about what’s there. You could say, “Look! Black and white stripes.” When he’s older give him the book to chew or scrunch. Continue to read to your toddler with more appropriate picture books. He will cherish the times spent with you learning to read in your lap. I love books. I had the cloth books and activity books when my children were babies. At this stage, I was just training them to look at the pictures or activity things on the books. Once they were older they began to flick through the pages and looked at the pictures themselves. 7. Let your baby move about. Don’t restrict his movements. How can he learn to crawl, walk and run if he’s stuck in one place? Let him wiggle and kick. Don’t strap him up when he’s not sleeping. As your baby gets older, make room for him to crawl and climb. Take him to toddler gyms or to playgrounds and centres with toddler size climbing frames, slides and ball pits. Play with balls by rolling, kicking and throwing. Learn to use tricycles and scooters. As I mentioned earlier, I used to take my children to kindergym. They loved it. I took them each year until they were five years old and went to school. Nowadays, there are these indoor play centres that have ball pits, slides, climbing frames and other wonderful things. Even shopping centres have them for free to use so take advantage of them to encourage movement discoveries. Once your child can hold a jumbo crayon, move his arm across a piece of paper to show him how to make marks. Give lots of experiences in this and soon his little fingers will be able to hold a pencil properly. To make this experience always a fun one, use different types of writing implements such as crayons, markers, pencils, chalk and paint. Also vary the paper that he write on such as white, black, coloured, cardboard, whiteboard, sidewalk and fence. I can't stress how imprtant this is for your child's writing ability when he's older. Many children come to my prekindy classes without the ability to hold the pencil properly and to actually control the fingers and hand movement for writing. These parents admit that they don't allow their children to scribble or encourage them to colour and draw. This is a no-no as how can they write when they can't even hold a pencil? The earlier you start then the easier it would be for your child to write neatly. To encourage creative and imaginative play, provide your child with open-ended materials such as sand, playdough, blocks and a water tray. Let your child’s creativity go and watch him create, build and learn about math and science concepts. With these types of play, your child won't get bored easily as they do with branded commercial toys. There are so many different ways to play with open-ended materials. It's only limited by their imagination and creativity. 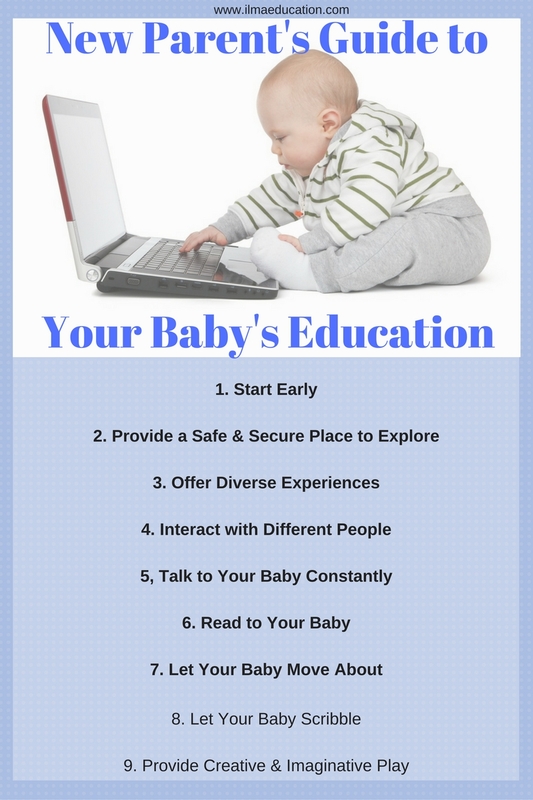 Save this infographic to help remind you of the ways to educate your baby. This is an example of the open-ended block play. You might like to buy it here (my affiliate link) or you could make your own playdough (there are lots of free recipes on the internet). I know socialising does help a lot for babies. But I'm living kinda far from my relatives and friends here. I don't meet them often. So I'm really scared if my baby would start crying meeting strangers. It's quite normal for babies around 6-8 months to start crying with strangers. This is when they're aware of others. But if the baby doesn't start to constantly meet other people then he will start to develop extreme anxiety around new people when he's older. I run toddler and prekindy classes at my ILMA Education centre and the children who are extremely clingy and anxious are usually the ones who have stayed home with mum since birth without meeting many people. Can you find any local playgroups or mother's groups? Even going to Islamic (or other) lessons and taking your baby along will help.